I managed to get to a couple Pan Am cultural events and I hope you did or will do so too. 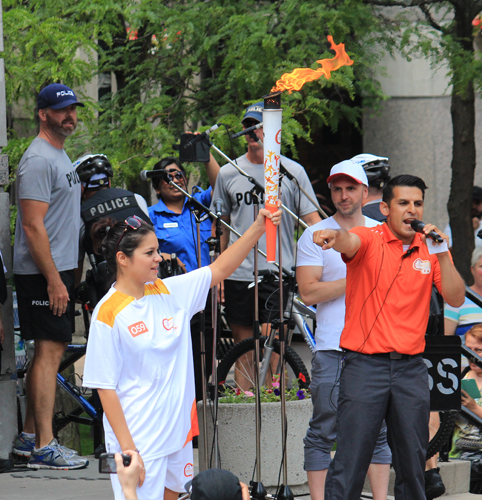 The Torch Relay at Mel Lastman Square was a lot of fun as cheerleaders got the huge crowd of young day campers on their feet and dancing, and of course – cheering loudly as the torch arrived. The torch bearer at that time was a former Canadian Idol Winner Eva Avila, who sang the Pan Am anthem in Spanish and will sing again at the Distillery on July 17. Later I checked out one of the daily free Panamania events at Nathan Phillips Square. 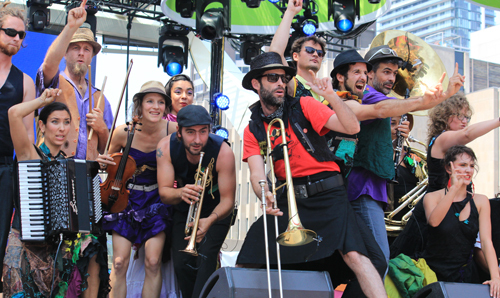 Montreal’s Gypsy Kumbia Orchestra’s m.c. was so hilarious, I forgot about political correctness and must admit I laughed a lot. The music was similar and almost as good as Toronto’s beloved Lemon Bucket Orkestra – but I did wonder if any of the musicians were actually Roma and I thought I recognized a Lemon Bucket musician playing with them. There was also a charming musical six-wheeler cycle act from Argentina. The quality of these two was so good, I want to go back for more. I am sure we are getting some of the best performers from the western hemisphere and they are all free of charge for everybody. 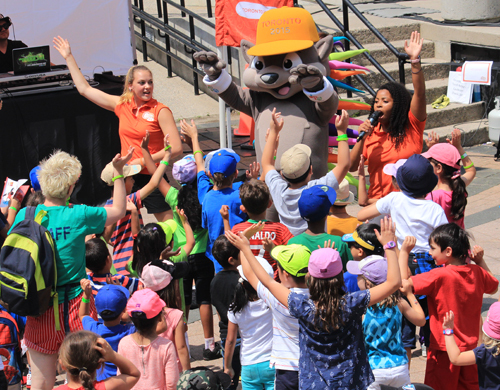 Panamania continues throughout the Pan Am Games. 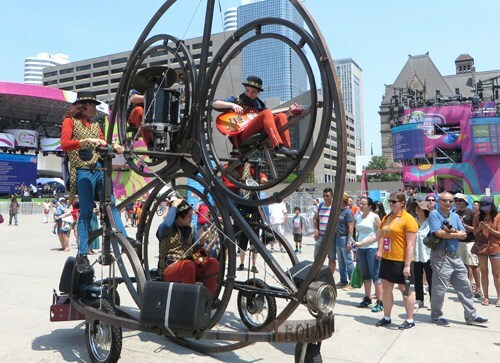 For more daily free performances at the Distillery, Nathan Phillips Square and Pan Am Park (CNE) with performers from Canada and the other Americas, click on: http://www.toronto2015.org/panamania. They will continue to July 26, and at Nathan Phillips Square from August 7 to 10. 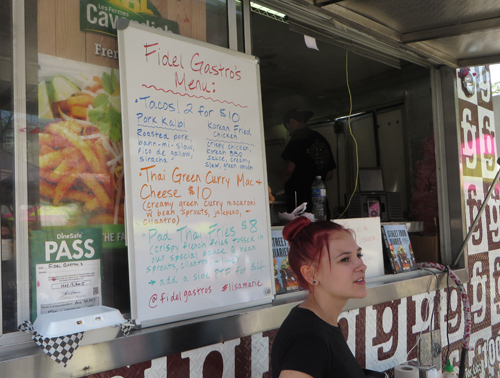 The food trucks last week had some interesting multicultural offerings too: Butter chicken Hoagie, Green Curry Mac and Cheese, Pad Thai Fries, and Lobster Rolls. Now those are worth going back for a try too. I’m amazed at how well the Pan Am events are organized.